1 What Are the Symptoms of Morning Anxiety? 2 What Are the Causes of Morning Anxiety? Have you ever woken up feeling very low and depressed? Perhaps because of an unfortunate event that happened at that time in your life. But what if you wake up feeling anxious but with no particular reason? This condition is called morning anxiety. What Are the Symptoms of Morning Anxiety? What Are the Causes of Morning Anxiety? After eating a high-carb meal in the evening, you’ve sleep all night without food. This causes low blood sugar. For most people, the brain uses sugar, called glucose, as its mail source of fuel. 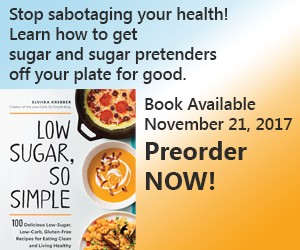 When the blood sugar drops too low or too fast, the brain runs out of fuel. This causes the brain to trigger the “fight or flight” response. This situation sends cortisol through the body to fight or flee from the perceived threat. Cortisol is the hormone the body produces when we are stressed. Naturally, cortisol is highest in the morning at lowest at night. When we feel anxious, our body produces cortisol to help us with the fight or flight response. We wake up feeling intense or anxious because of the stored cortisol we didn’t use during the night. Our bodies continue to produce cortisol, which makes us feel more anxiety, so our body produces more cortisol, which again makes us feel more anxiety, and so on. It is a vicious cycle. Although your environment may not be the root cause of your morning anxiety, it may elevate an already bad mood. If you have a dark room sleeping on an uncomfortable bed and then a loud alarm comes off wakes you up to reality, you are likely to start the day feeling anxious and low. People who have hard time getting sleep at night may wake up with anxiety. Therefore, you should make sure that you get good quality of sleep. This can be achieved by comfortable bed, cool room, adequate hours of sleep and drinking chamomile tea before bedtime. While coffee may not affect everyone, it may cause anxiety when you wake up. You may wake up with a caffeine withdrawal headache which causes anxiety and makes your mind feel like it can’t function properly without caffeine. Some people who drink coffee too fast in the morning quickly develop symptoms of anxiety. So to avoid anxiety when you wake up, understand how your body works with coffee. If you have spare time in the morning, go for a jog outside. Jogging is a powerful tool to reduce anxiety and is very underrated. When you wake up in the morning with anxiety, go out for a jog. It will take your mind off negative thoughts and tire your muscles. Jogging also releases endorphins which help you to feel more relaxed. Be sure not to get exhausted, keep the pace moderate so that you won’t get out of breath. Jogging should be relaxing rather than vigorous exercise. You may try writing about your fears and anxieties so you can take them off your mind and transfer them in the paper. You should also write about positive things such as your plans in the future or fun times in the past. This activity will relieve your anxiety so you’ll enjoy your day ahead. Anxiety is unlikely to be caused by an empty stomach, but rather by low blood sugar levels like mentioned above. If you are on a ketogenic diet, your brain will use ketone bodies (like beta-hydroxybutyrate) as its main fuel. Your blood sugar levels stay steady without going up and down. 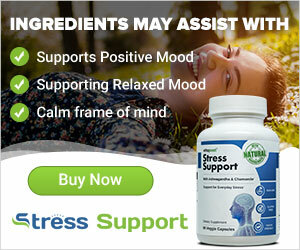 Naturally, your mood will be better and you don’t suffer from anxiety or depression caused by low blood sugar levels. Need easy ketogenic low-carb recipes? Find them from my other blog and from my cookbooks. We can have fun at work even if we are pressured with deadlines and tons work. You can try ways of making more fun such as inventing games with your coworkers, decorating your work desk, listening to music, and joking with coworkers. This will not only transform your work place to a lighter environment, it will also lessen your anxiety and put you in a brighter mood. Another important thing to do when experiencing anxiety in the morning is to try to understand why you are going through it. Knowing the reasons for your anxiety will help you cope and avoid the things that make you feel anxious. You should also try to constantly remind yourself that anxiety should not rule your day. If none of the above-mentioned solutions reduce your morning anxiety levels, it is advisable to go to a counselor or mental health expert to help you diagnose your problem and find long term solutions to treat your anxiety. Morning anxiety can often be avoided by having sufficient sleep, going morning jog, changing your diet, or writing in a journal. If you feel anxiety at work in the morning you may want to listen to music, redecorate your work desk, or joke with your coworker to lighten up your mood. But if your morning anxiety is getting worse, you may have a serious psychological problem. Talk to a mental health expert or counselor to help you understand the causes of your anxiety and learn how you can cope with it. You can also try a self-help program which is guaranteed to work. There is lots of scam in the market, so be sure to choose a method which is proven to work for thousands of people and which has a full money back guarantee. Different Types of Anxiety All There Is to Know About Anxiety Dreams Anxiety Issues: Top Symptoms and Treatments What is Beck Anxiety Inventory?